Complete a song with 90% or more Perfect moves (No Mash-Ups). Get 3 stars with all four Players on any Song with 4 Dancers. Get 5 stars with all four Players on any Song with 4 Dancers. Get 3 stars on all songs (No Alternate versions or Mash-Ups). Play 1 song on the World Dance Floor. Play 20 songs on the World Dance Floor. Dance with 10 different people on the World Dance Floor. Dance with 100 different people on the World Dance Floor. Submit one video clip to be part of a Community Remix. 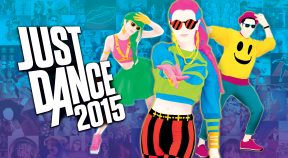 Access the JD Wall and see what's going on in Just Dance 2015. Check out your friends Dancer Card. Change your Signature Move in your Dancer Card. Dance one song of these map types: 1, 2, 3 and 4 coaches. Unlock all Avatars and Mash-Ups (no DLC or Uplay). Get 5 stars on Holding Out for a Hero. Dance 'You Spin Me Round (Like a Record)' 3 times in a row. Complete a dance with 6 players. Start a map with the 'Just Dance' voice command in the lobby. Get your high 5 a day! Perform a high 5 gesture with another player. Smile on the Autodance Screen. Use the effects shuffle button to apply an effect to your Autodance video.